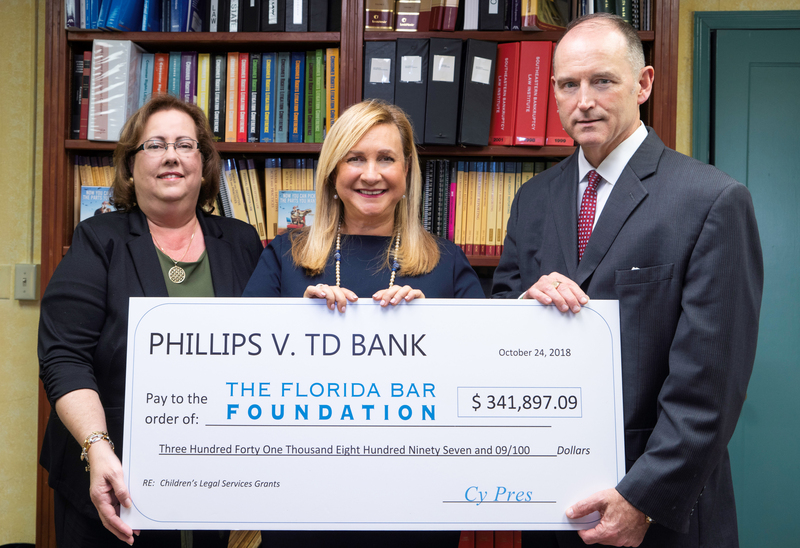 The Florida Bar Foundation has received a $341,897 cy pres award from a class action settlement in a case concerning the rights of consumers whose cars were repossessed. 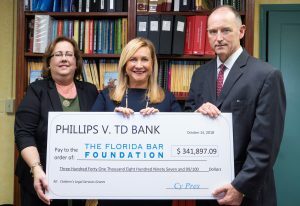 Ft. Lauderdale attorney Robert W. Murphy represented the class against TD Bank, N.A. Judge John B. Bowman of the 17th Judicial Circuit in Broward County approved the cy pres distribution. Under cy pres, courts can approve a charitable donation out of unclaimed class action funds. 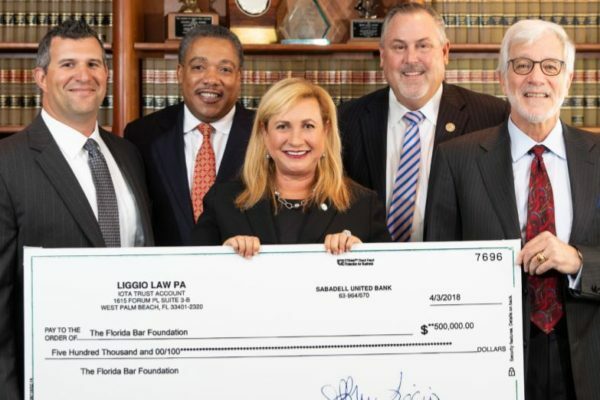 The Foundation will use the funds to support legal aid organizations throughout Florida. The case, Lynn Phillips v. TD Bank, N.A., involved a financially distressed senior whose vehicle was repossessed by her bank. The lawsuit challenged the way the bank disposed of repossessed vehicles. After an appeal, Murphy mediated the case and settled for $1.85 million in cash for 942 class members, and $7.2 million worth of waivers to forgive loan balances due on the class members’ vehicles.